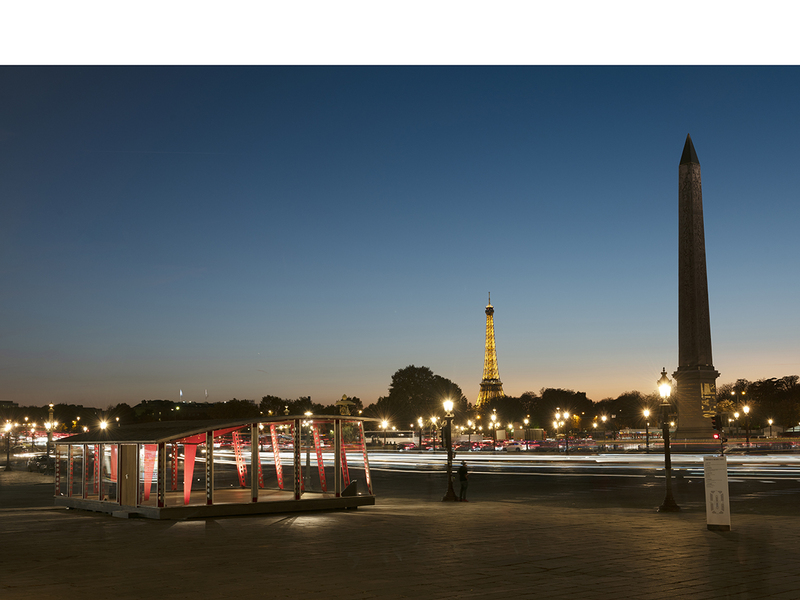 Galerie Patrick Seguin is delighted to annonce its presence at the FIAC 2018 at the Grand Palais from October 18th to 21st, as well as at Hors Les Murs, Place de la Concorde, from October 16th to November 14th. 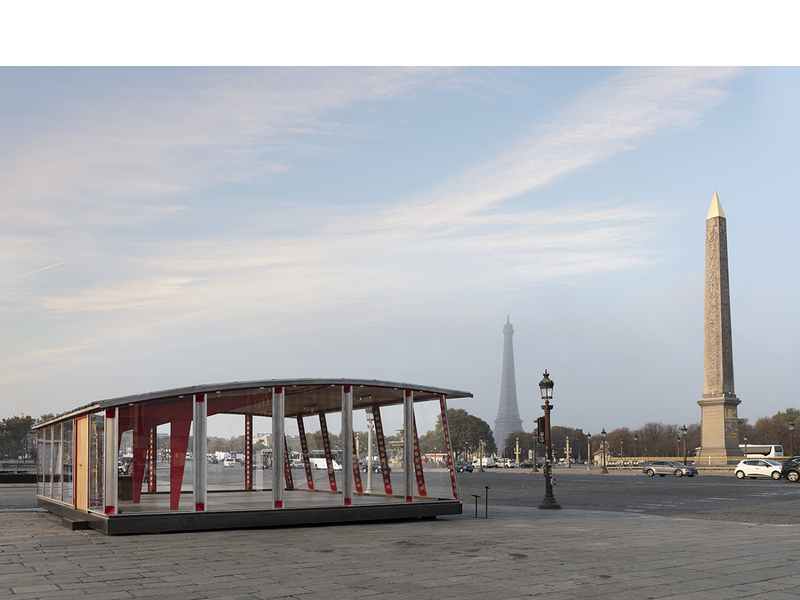 For Hors Les Murs 2018, Galerie Patrick Seguin will exhibit the Temporary School of Villejuif, 1957 by Jean Prouvé, at the Place de la Concorde. By 1956, Jean Prouvé was recognized among France’s top designers of temporary emergency buildings, and as a result was commissioned to design a school complex in Villejuif, in the inner Paris suburbs. 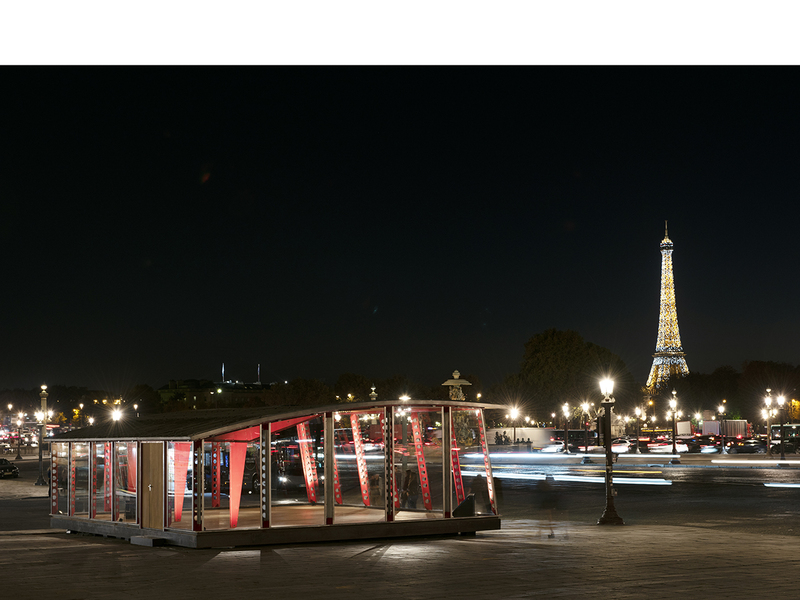 The specifications called for a lightweight building that could be put together quickly and would lend itself to being dismantled and re-erected elsewhere. The construction principle that Prouvé developed for the school drew from the principle he had applied to the Cachat pump room at Evian, which is now a classified historical monument. Based on prefabricated elements, the asymmetrical structure used sheet steel props to support a curved, cantilevered, laminated wood roof. The fully glazed facade was punctuated by sheet steel sections serving both as stiffeners and ventilation elements. With its large windows the classroom building had the look of an open-air school. The metallic support structure allows clearing wide glass facades. The transparency effects dematerialize the architecture by opening on the surrounding nature. Designed to be temporary, the school was later demounted and its components used in other buildings. These elements are now acknowledged features of twentieth-century architecture: one of the props is now a part of the Centre Georges Pompidou’s permanent collection.